Every art people know this painting, a painting depicting a beautiful woman with a mysterious sweet smile. So mysterious, the painting that displays at the Louvre museum in Paris is even priced with a price range of 670-750 million US dollars or 8 trillion rupiahs. Leonardo da Vinci the creator of this painting is indeed one of the genius painters in the 14th century. In addition to painting, he also made several designs of machinery and other equipment. Mona Lisa's painting is one of his mysterious masterpieces to the present that attracts the attention of scientists to examine the meaning behind the painting. 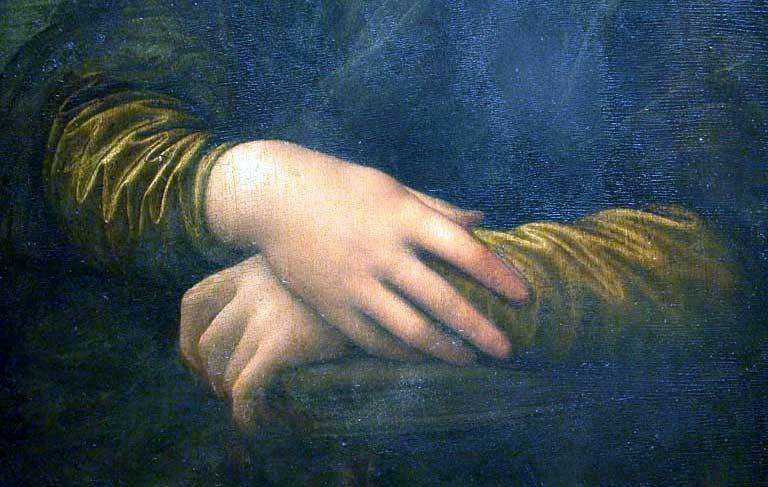 In the painting, hand crossed between the belly hinted a distended belly containing baby. This theory is presented historians in the Louvre museum, Monalisa is pregnant when sitting and painted. This theory is confirmed by the Canadian research council, through a 3-dimensional infrared scanner. they find a thin veil or guarnello visible from head to around Mona Lisa's shoulders, these accessories are worn by ladies of Italian Renaissance when pregnant. Another supporting theory is that the monalisa is Lisa del Giocondo's wife of a Florentine man, and historically, del Giocondo was pregnant with a second child when the painting was made (between 1503 and 1506). 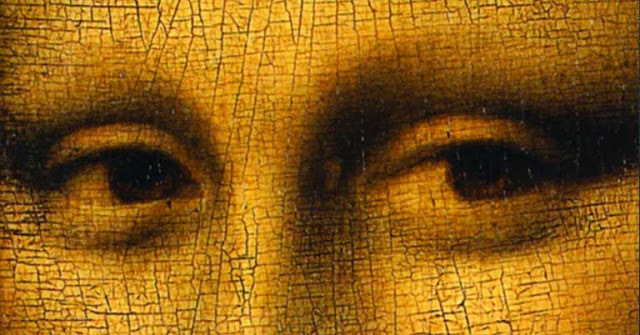 The mysterious smile of the Monalisa turns out to be a sign of the condition of the body that has high cholesterol. According to Dr. Vito Franco from the University of Palermo, the sign is visible through the thick fat area in the cheeks that make his smile narrow. He also considers there may be lipomas, or benign tissue-fat tumors, in his right eye. Thus it is estimated that during his life Monalisa often eats high-fat foods such as meat, sweets and even fried. 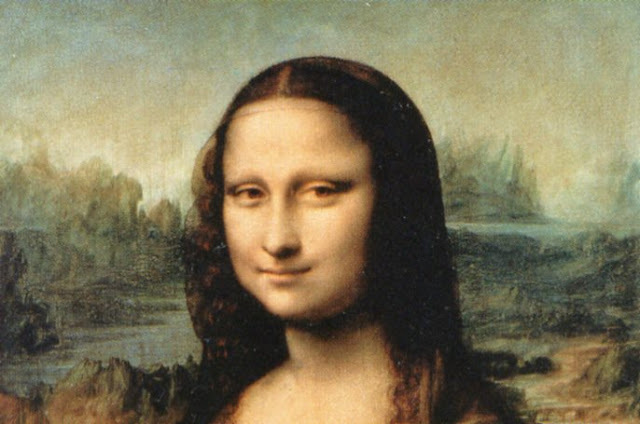 In ancient times in Italy, women who did not have eyebrows are often regarded as a prostitute, this is very contrary to the theory of Mona Lisa as a noble child. But recently an engineer from France, Pascal Cotte. 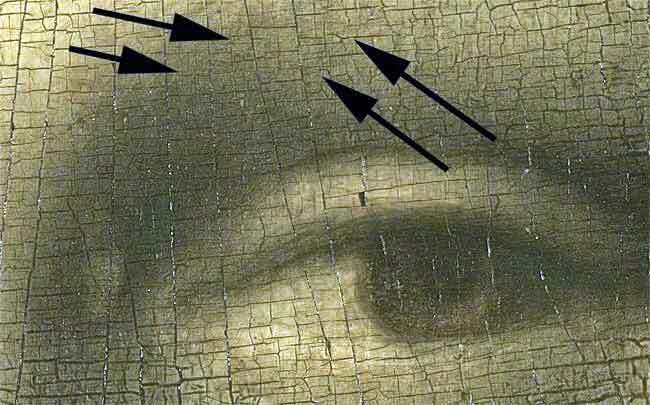 found out that the Mona Lisa actually has eyebrows. Using high-resolution photographs he found the streak of an eyebrow hair over his left eye. According to him, because the process of cheap treatment causes losing paint on the eyebrow. Golden ratio or proportion of gold commonly used in the world of photography or design to balance an image composition. This ratio is a curve formed from a rectangle that has a size of (1 + Φ) and width 1. Arranged to a smaller width to the length of the smaller rectangle so on. this proportion is also commonly found in ancient buildings such as the Egyptian pyramids and Parthenon temples. It is said that this proportion makes the eye comfortable because it looks beautiful and balanced. 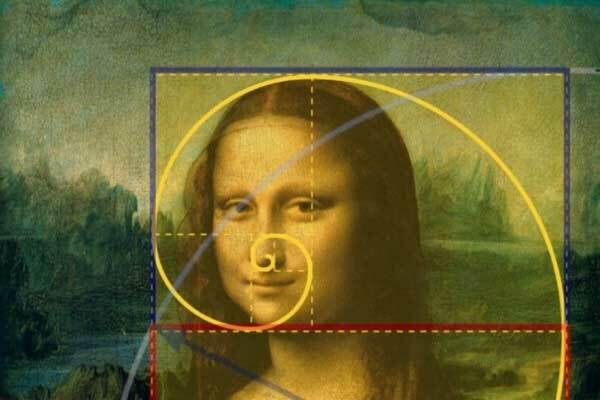 Perhaps the Golden ratio is the reason many people do not realize why they love the Mona Lisa painting. 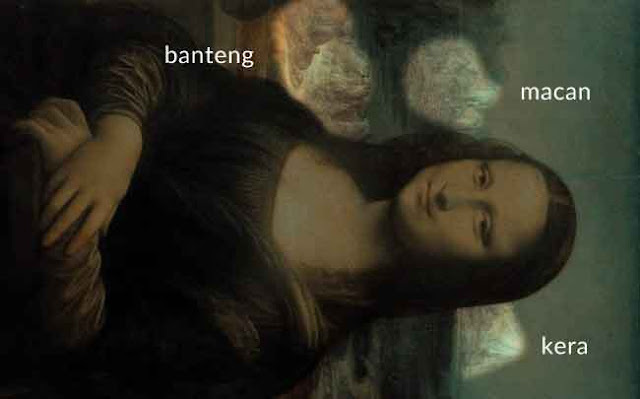 About how expression Monalisa when painted. 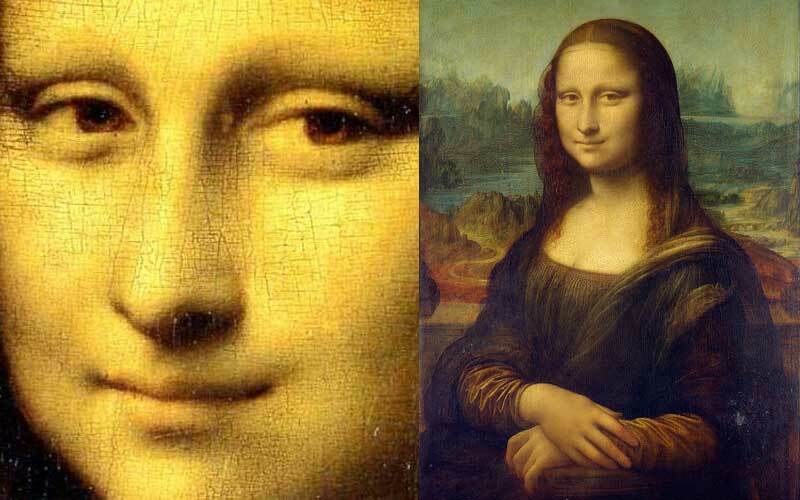 Has been a centuries-old debate of Mona Lisa's expression smile or not. If we look from a distance and focus on the eyes Mona Lisa it will look smile, but if we look closer and closer to the mouth then arise doubt about the actual Mona Lisa expression. According to Professor Margaret Livingstone of Harvard University, a smile is seen as influenced by the perception of the human visual system that sees the Mona Lisa's facial muscles indicating the smile is wider than it really is. This secret code is often called the Da Vinci Code where there are codes of letters and numbers that are invisible in the painting. According to Silvano Vinceti, the president of the Committee, this code can only be seen through a magnifying glass, which if examined on the right side there is an LV that may mean the initials of Leonardo da Vinci and a rather vague left eyebrow symbol between CE or B. it's part of the bridge in the background there are 72 numbers sometimes look like L2, No one knows for sure what reason da Vinci inserted the codes. Obviously, there is something that da Vinci hid for 500 years. The animals are not much known to people. Ron Piccirillo is wrong an artist from New York claimed to find the image of a beast hidden behind a Mona Lisa painting. He saw the heads of lions, monkeys, and bulls in the scenic mountains of the background. Ron Piccirillo also found the same hidden image on other Renaissance painters like Titian and Rafael. In addition he also, saw a crocodile near the chest if the Mona Lisa painting rotated 45 degrees. Can you find another picture in the Mona Lisa painting?